Solo, powered by twin 1 GHz computers, is the world’s first smart drone. ● The first consumer drone with a brain, Solo is powered by twin computers. 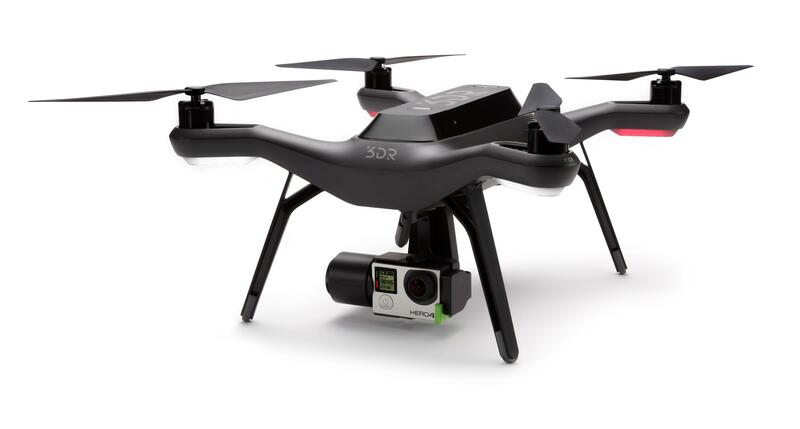 ● Only drone to stream wireless HD video from GoPro direct to iOS/Android devices. ● Powerful Smart Shot technology makes capturing incredible cinematic footage easy and automatic. ● First with in-flight GoPro access: Start/stop recording and adjust camera settings from the ground (with Solo Gimbal). The world’s smartest drone is also the easiest to fly. With features like pushbutton flight and computer-assisted Smart Shots, Solo makes it easy for anyone to get professional aerial photos and video. 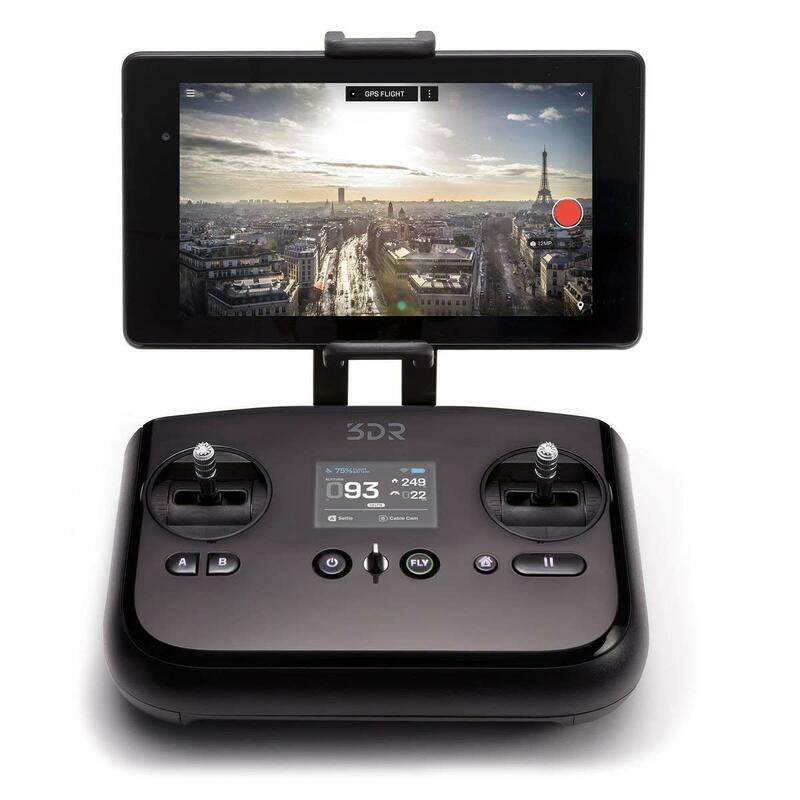 Solo is powered by two 1 GHz computers for the best and smoothest aerial photography experience imaginable, and includes many world-first technologies and a host of built-in safety and support features. It’s also the only all-in-one drone to offer wireless video streaming in vivid HD from your GoPro directly to your mobile device—at ranges up to half a mile. The 3-axis Solo Gimbal taps Solo’s computers to execute perfectly stable shots automatically. It’s also the only gimbal to offer exclusive in-flight GoPro control, charging and wireless HD streaming from your GoPro direct to mobile. Get an iconic wraparound shot by locking your GoPro onto any object. Orbit mode puts Solo on a circular track with an adjustable radius. Fly around the circle in either direction and Solo will keep the camera locked on your subject. 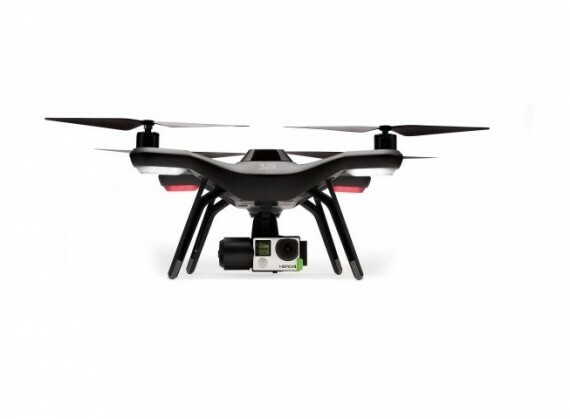 You can also adjust altitude and flight speed to create dynamic and sophisticated aerial shots. Go completely hands-free. Whether you’re taking the road less travelled with your friends, cruising our boat around the lake or just out exploring the world, Solo will automatically follow along in the air. This mode keeps the camera centred on you at all times, capturing your every move. With Solo locked on a virtual cable in the air, you’re free to pan and tilt the camera without worrying about piloting the copter. Solo can even memorize the shot at each end point and fly itself from one frame to the next, while working the camera for you as smoothly and evenly as a seasoned pro. Put yourself in the centre of a scenic aerial pull-out. As Solo flies itself up and back, your surroundings expand, building and revealing more and more of the world around you—it’s a portrait and a landscape all at once. Record the clip directly to your phone for easy saving and sharing. Pack or unpack your Solo in under a minute with this durable, custom-cut backpack travel case. 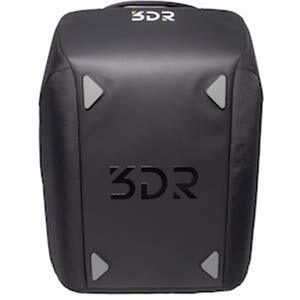 The Solo Backpack has room for the 3DR Solo with attached gimbal, the controller, and custom fit pockets that hold up to five spare batteries, two replacement motor pods, two sets of propellers, a tablet (or small laptop) and spare parts. Features a form-fitted, shock-resistant interior, a water-resistant exterior, comfort-padded shoulder straps and smooth, sleek styling. Solo Battery: 14.8 volt LiPo (5200 mAh). Rechargeable controller battery: 2600 mAh / 7.2 Vdc; lasts 4 hours (8 hours with optional extendable battery).